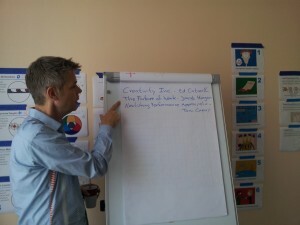 Last Wednesday I managed to attend Management 3.0 Workshop in Warsaw, hosted by Jurgen Appelo. I really liked his latest book (same as previous two). After reading “Management 3.0 Workout” attendance in accompanying event got pretty high on my professional wish list. And it was really pleasant experience. If you are still wondering if this is for you and want some more details – read on. Last week I was participating in in-house Certified Agile Tester training. If you’re wondering if this is right training for you, what benefits can you get from it, and if it is worth the money this post may be helpful for you. I don’t like this expressions: flat structure. The way it is being used around me implies that by sole fact of assigning manager or leader to the team you break some kind of “miracle of flatness”. Such act will of course break the flatness, but this is a smart thing to do in some cases. Flatness is only miraculous when it serves the team. Distribution of wealth in companies and generally money subject is equally hard and interesting. It’s hard, because emotions (mine as well) kick in pretty easily, personal biases and issues around the subject are often deep and seem to be significant part of one’s personality. And this is what makes it interesting. Bonus systems are one part of broader subject of compensation plans, but it is so popular and strong form of (de)motivating that it deserves special attention.